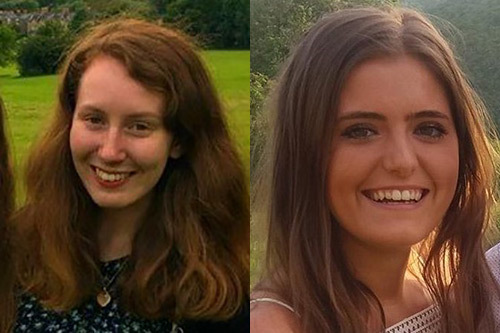 Two students from underprivileged backgrounds will study investigative journalism at City, University of London after winning funding in a nationwide scholarship competition. Sian Bayley, from Orpington, secured a £12,500 scholarship, which will cover course fees for the MA Investigative Journalism programme and contribute to living expenses. Ellie O’Donnell, from London, will receive £8,000 towards her tuition. The Quadrature-Evening Standard Scholarship for Investigative Journalism offers Sian a series of work placements at the London Evening Standard or The Independent during the one-year MA course, which starts on 25th September 2017, followed by a 12-month paid traineeship with one of the publications upon graduation. Course leader Professor Heather Brooke said: “We want to ensure in-depth civic reporting survives and thrives by passing on professional skills to the next generation of journalists and be able to draw from a diverse pool of students from all backgrounds. This unique partnership means that for two young people their dream of becoming an investigative journalist is now a reality." The full funding won by Sian is worth £10,000 (contributed by Quadrature Capital), plus £2,500 living expenses (contributed by City, University of London). Quadrature decided to offer additional funding to Ellie O'Donnell after being impressed with her application. Ellie said: "The extra funding that I am receiving means I can afford high-quality training that previously, due to costs, was unreachable. It will allow me to follow my ambition to become an investigative journalist and uncover inequalities, abuses of power and injustices in our society. The scholarship was launched in 2017 to provide a springboard for an aspiring journalist from an underprivileged background who would not be able to complete the course without financial assistance. Sian added: “I managed to get through my undergraduate degree with the help of a maintenance grant and generous bursaries, but feared I would not be able to continue with my education at postgraduate level where funding is notoriously scarce.